In case you’ve been traveling abroad the past month, hopefully in a country that isn’t currently engaged in conflict, then you might want to know that a lot of stuff has been happening lately. In the Ukraine, a Malaysian Airlines flight traveling from Amsterdam to Kuala Lampur crashed, killing all 298 people on board. Unlike Malaysian Airlines Flight MH370, in which people still don’t know what the hell happened, this crash is suspected to be an act of terrorism. 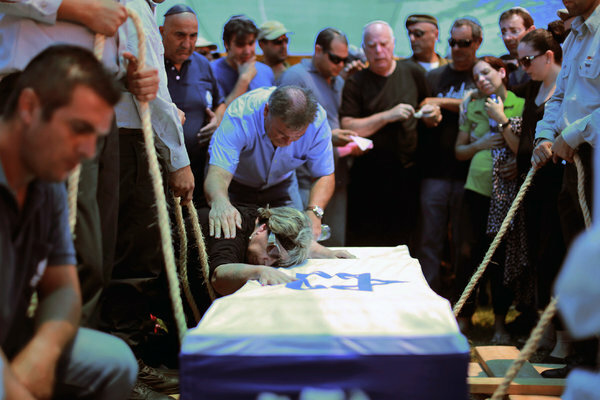 Picture from Israel stolen off New York Times website. In the Gaza Strip, Israeli defense and Hamas militants are fighting each other, firing missiles, and people are dying by the day. There are already more than 500 fatalities. The two incidents are completely unrelated to one another, but obviously both bear equal international significance. Normally, at this juncture I’d do some light reading on the topics, and sum up the situations based on credible sources. But, why bother? If you’re interested in the two conflicts, then you already know about them. There’s plenty of information out there for you to peruse. And if you’re not interested enough to do the research, then you’re likely not interested in the Spark Notes lesson anyway. Instead, I’ll focus on one of the inevitable side effects of such international conflicts: people who liken themselves as experts even though all they’ve been tracking is what is presented to them on American news. It’s not that American news is totally unreliable, but it means you’re hearing one version of the events. If you want to know the truth about what is happening, you need to hear it firsthand from people who live in the area, or from newspapers that are reporting directly from the area. It’s disingenuous for people to form opinions and make rash accusations without doing the proper research. And nobody ever does the proper research. If you want to read the New York Times, or listen to the nightly news, then that’s a great way to obtain a base knowledge. But it’s not enough to start throwing words around like you’re an expert on foreign affairs. As I said before, I can’t offer much. But what I can provide a firsthand account of what it is like to live in Israel right now. I was there for 10 days in February on a birthright trip, which involved us meeting local Israelis. We have a Facebook group for people to keep in touch, and in a discussion about the Israeli-Palestinian conflict, one of them posted their own thoughts. For context, understand that when the sirens go off (warning of a possible attack), Israelis have fifteen seconds to seek shelter. That’s the insane dynamic between Israel and Palestine. It’s like if New Jersey decided to bomb Manhattan. Anyway, here is what he said. As you can see, his English is not perfect. For ten days now the entire country is under attack of missiles. You wanna know what is it like to live under the threat of missiles? It’s being edgy and stress every sound you hear. It’s being alert every time you leave your house, and check which is the nearest building you can run to when the alarm starts (That said is you live in cities that are far enough from the Gaza strip and you can actually leave your house),also you don’t leave your house unless you really have to. It’s not going to the beach in the summer because there is no where to hide there. It is children that their most expected summer holiday is now ruined. It is hearing guests cancel the arrival to your wedding because of the situation. It’s being addicted to the news. It’s calling your entire family and friend asking where everybody is after every alarm. It’s siting on the couch at the end of the day wanting to relax with your favorite show, but then the alarm starts and you have to run to the shelter (this happened to me yesterday). It’s lighting Sabbath’s candles in pray that there will be peace and that no innocent citizens will get hurt. If that doesn’t provide you with some context, I don’t know what will.